MR16 led lamp holders characters : maximum outside diameter of 2 inches with a multi-faceted reflector lamps in the lighting industry, lighting models by the letters of the alphabet and numbers, MR is the abbreviation of the English Multifaceted (Mirror) Reflector means a plurality of reflecting Surface composition into the reflector. The digital representation of the maximum outer size of the lamp, as a multiple of 1/8 inch, “16” indicates the lights, With the maximum outer diameter is 2 inches. 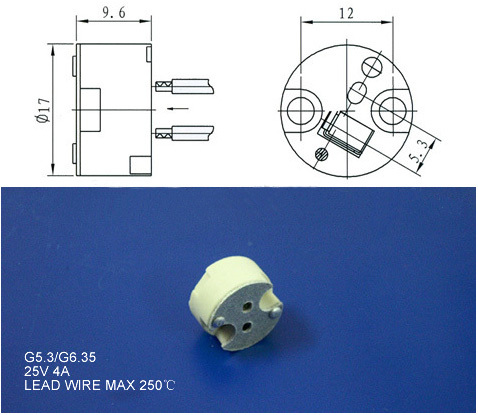 Wires attached gu5.3 light base retaining clips are absolutely the best quality around, they’re made of high-quality ceramic and have variety of metal csrew shell can meet your requests well. No writing on the porcelain, just simple neat pattern, two contact pieces can ensure good conductivity. All of that can provide long usage and more safety. These lamp holder easily remove or put on a light bulb. Perfect for restoring old lamps and lights or for all of your homemade lighting fixtures. Use this to fit any MR16 or MR11 bulb into a hardwire system. It allows you to plug in your LED bulbs and attach it to normal lighting wires. This round sockets are made from porcelain and work with MR16 lamps along with many other bi-pin lamps, including G4, G6.35, GY6.35, GX5.3 MR16, GZ4 ,MR11 bases. 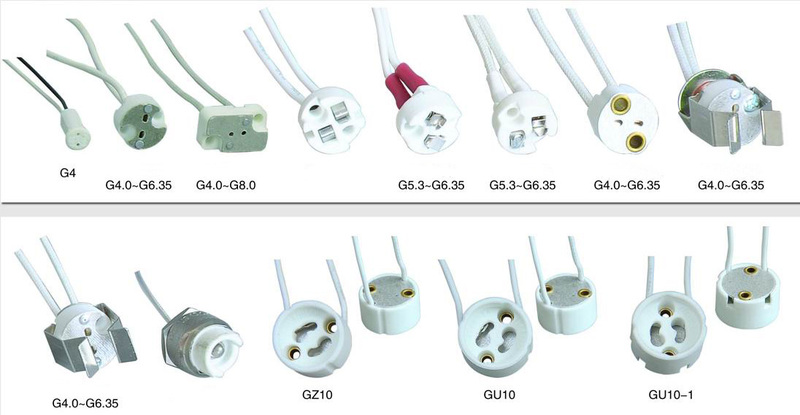 Package : 10PCS/20PCS/50CS MR16 led lamp holders plug.